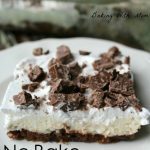 No Bake Candy Bar Cheesecake Squares is a delicious, rich dessert made up of everyday ingredients found often in your fridge and pantry. 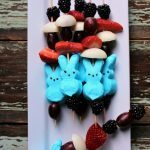 Use up that leftover candy from the candy dish and enjoy! Do you ever just want to create something new in the kitchen? That is what happened to me one Sunday afternoon. Ryan had taken my computer so I couldn’t do any blog work and there was cream cheese in the fridge that was calling my name. Really, I think it was. Chocolate calls my name too. 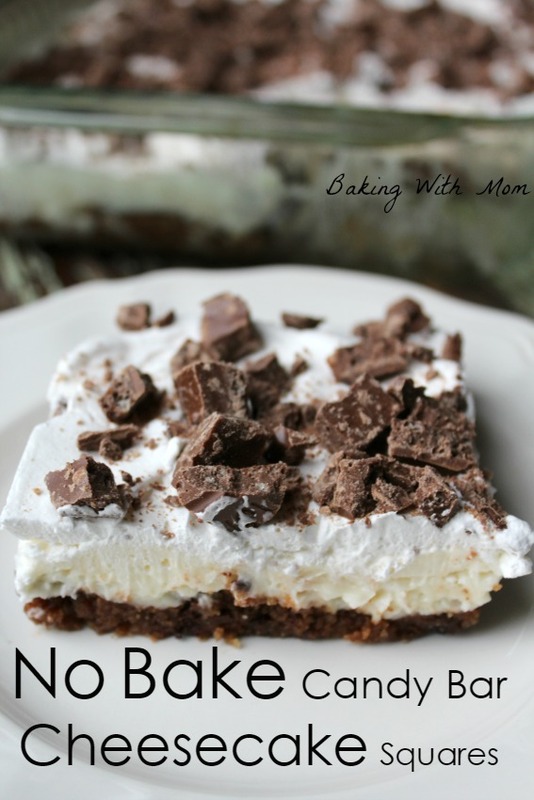 So, why not make No Bake Candy Bar Cheesecake Squares? 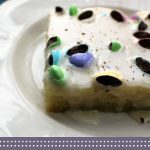 As I make a lot of delicious food with cream cheese like these mint chocolate chip cheesecake bars, I long to find more recipes. Why? Hubby loves it. The recipe is a simple one. The cream cheese filling only has a few ingredients. 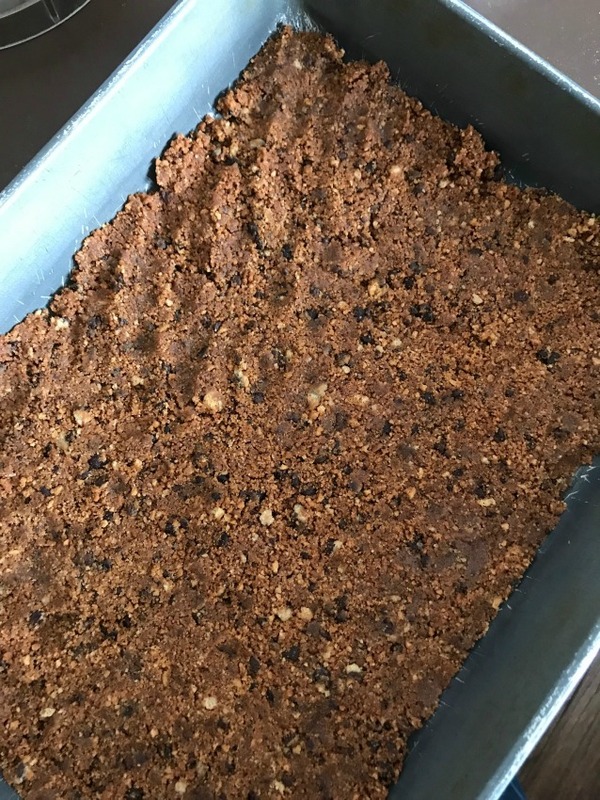 The cookie crust is just that: a cookie crust. 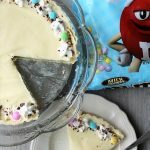 The topping is whipped cream with chopped candy bar pieces. 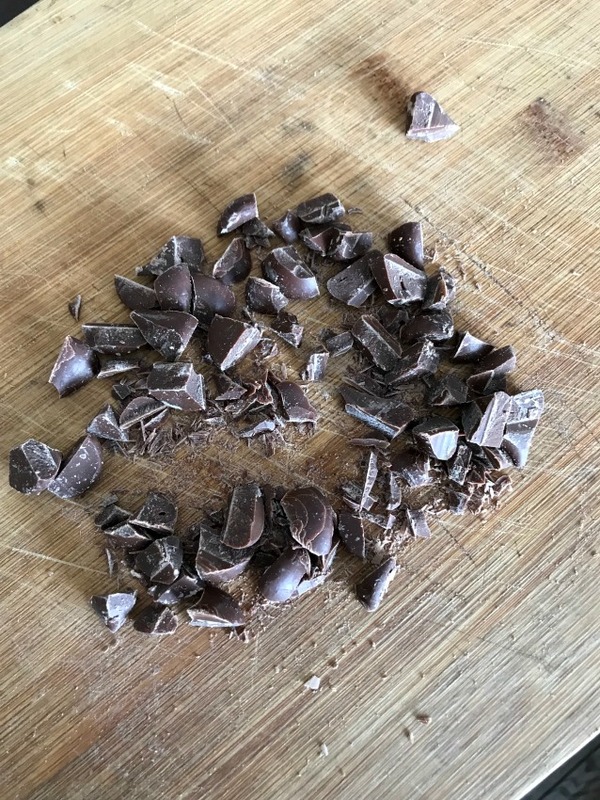 Use any candy bar you have or simply use chocolate chips. Milk chocolate, peanut butter or mint chips would all taste great. Caramel pieces would be delectable. 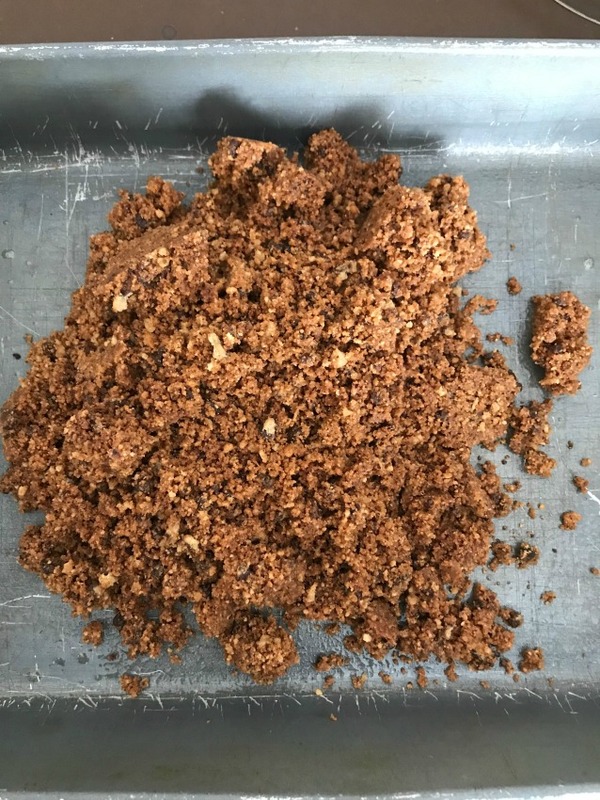 I used my food processor to turn the chocolate chip cookies into crumbs and to mix in the butter. Spread on the bottom of a lightly greased pan and press down. Spread cream cheese mixture on top then spread on the cool whip. Sprinkle chopped chocolate on top of cool whip. 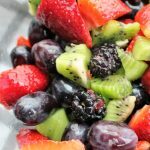 Place in the fridge and keep cool until serving. Refrigerate leftovers. 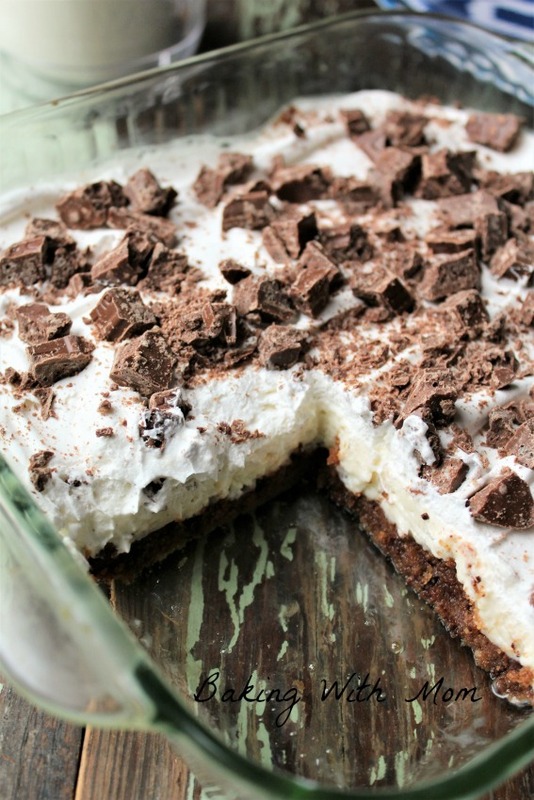 No Bake Candy Bar Cheesecake Squares with cream cheese, candy bar pieces and cookie crust. Lovely dessert! 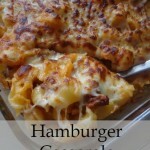 Definitely need to try them myself!